Is your Self-Managed Super Fund compliant? A Self-Managed Superannuation Fund (SMSF) is able to acquire property and borrow money to do so, and has been able to for a number of years now. 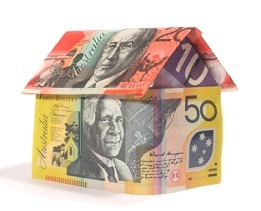 The acquisition of property in the SMSF helps protect the assets of members of the SMSF. It can be a valuable tool for businesses and individuals. Despite the fact that this is not a new concept, many lenders are not on the same page as to the requirements (even within their own organisation). This inconsistency can make it a complex area, especially when lender requirements change from loan to loan. We recently acted on the acquisition of a property by a SMSF that had previously purchased properties and borrowed from 2 different lenders. For the new acquisition it applied for a loan from both of these lenders. The only change from the previous loan application was that the trustee had changed from individuals to a company. Given this minor change, and the fact that the lenders were the same as those used previously, it was surprising to receive notification from the lender that they required a number of amendments to each of the SMSF Trust Deed, the Deed between the SMSF and the Bare Trustee, and the Contract for Sale of Land. When time is running short, the requirement to make so many amendments can seem daunting to the purchaser and cause problems as to completion especially where changes to the Contract for Sale of Land are also required as that involves the Vendor agreeing and signing additional documents. Pointing out to the lender that they had not previously required similar amendments was of no use. They insisted on the amendments, and when finance is needed the SMSF has no choice but to meet the lender’s requirements. It is important that the SMSF seeks proper legal guidance as what needs to be done and the amendment documents are properly prepared. With our help, and luckily a very patient and understanding Vendor, the amendments were made and completion occurred. However the results could have been different and the SMSF could have lost their deposit. Aside from the lending side of things, the law in relation to SMSFs is very strict and compliance can be complex. The consequences for non-compliance are quite severe for the SMSF, with the assets of the SMSF being at risk of high taxation. A financial plan is required by the SMSF, and it must state that the acquisition is a sound financial investment and is in keeping with the investment strategy of the SMSF. There are restrictions on the nature of the property that may be acquired. There are restrictions on the type of loan that can be used. Generally the property must be a commercial property. A commercial property may be purchased by the SMSF from a member. A residential property may be acquired but it is under additional restrictions. The type of loan is known as a “limited recourse” loan so that the lender may only recover against the property being acquired and not against other assets in the superannuation fund. As a result lenders usually reduce their loan to value ratio and increase their interest rate. This reduces the risk to the lender. We will work closely with your taxation and financial advisors to acquire assets by your SMSF and to ensure that you meet legal and lender requirements.